In counting down to my favorite holiday, every Thursday until Halloween I’ll post pictures of costumes I wore in the past. 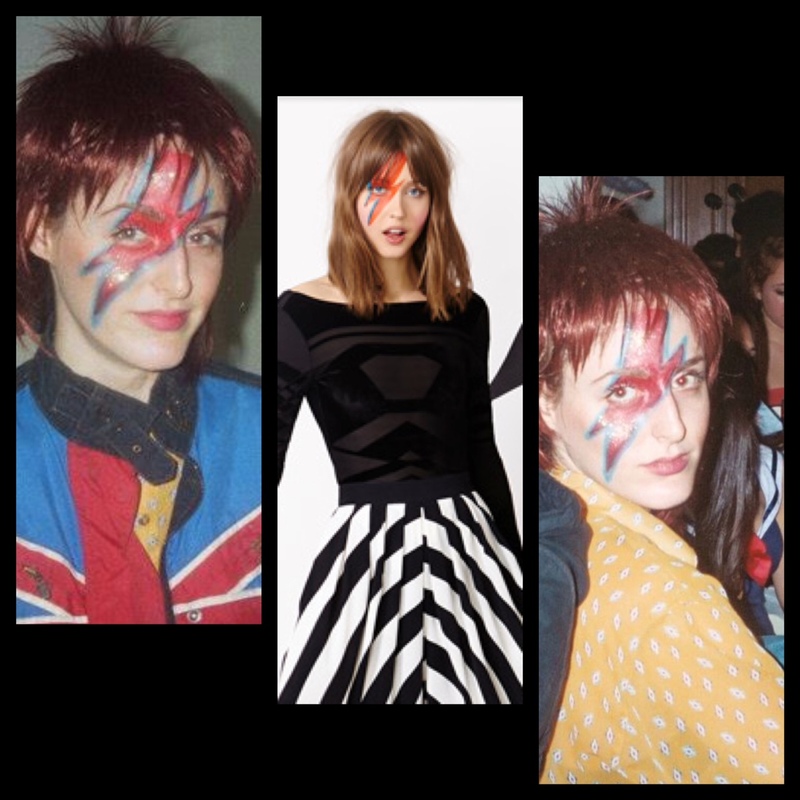 Today’s is kind of special because this morning I received an e-mail blast from my heroes at Nasty Gal about costume ideas, featuring a Ziggy Stardust costume front and center. This surprised me because I dressed as David Bowie’s alter-ego just last year! Here’s their version sandwiched between two pictures of my take on the iconic Ziggy. Nasty Gal’s getup is probably a little more chic…but I think mine is more authentic (or creepy, whatever). In the end, it just proves that Nasty Gals really do do it better…and think alike! Check out Nasty Gal’s Halloween essentials here.